Is Cisco Systems Inc (CSCO) A Good Buy? Cisco Systems Inc (CSCO) was incorporated on December 10, 1984, is the worldwide leader in networking that transfigures how people connect, communicate and collaborate. CSCO is an American multinational corporation with the main office in San Jose, California. Cisco Systems, Inc. (CSCO) main activities were, they design to manufacture, and sells Internet protocol (IP)-based networking. And also other products that have something to the communications and information technology (IT) industry. In addition, CSCO provides services in line with these products. Further, the Company provides a number of products for transporting data, voice, and video within buildings, across campuses, and around the world. Likewise, the company’s products are designed to alter how people connect, communicate, and collaborate. Furthermore, the products are installed at enterprise businesses, public institutions, telecommunications companies, commercial businesses, and personal residences. Emerging Markets, Asia Pacific, and Japan. The emerging markets theater consists of Eastern Europe, Latin America, the Middle East and Africa, and Russia and the Commonwealth of Independent States. advanced technology and other products. Advanced services program which supports networking devices, applications, solutions, and complete infrastructures. On July 30, 2012, the company acquired NDS Group Ltd. In October 2012, it acquired virtual networking company, vCider. August 2011, the Company acquired Versly. November 2011, it acquired BNI Video. March 2012, the Company acquired Lightwire, Inc.
May 2012, the Company acquired ClearAccess. In December 2012, the Company acquired Cloupia. December 2012, the Company acquired Cariden Technologies Inc.
December 2012, the Company acquired Meraki, Inc. Effective January 31, 2013, the Company acquired Cariden Technologies Inc. Effective February 13, 2013, the Company acquired BroadHop Inc.
February 2013, it acquired Intucell. May 2013, the Company acquired Ubiquisys. July 2013, Cisco Systems Inc announced it has completed the acquisition of privately held JouleX, an enterprise IT energy management for network-attached and data center assets. July 2013, the Company announced that it has completed the acquisition of Composite Software, Inc.
October 2013, Cisco Systems Inc completed the acquisition of Sourcefire, Inc. In addition to its product offerings, the Company provides a range of service offerings, technical support services, and advanced services. The advanced services program supports networking devices, applications, solutions, and complete infrastructures. The Chairman of the company has the overall responsibility for the operation of the corporation while the Chief Financial Officer was responsible for the financial control and planning of a firm or project. These two great men of Cisco Systems Inc have contributed a very significant effort for the success of the corporation. John Chambers is the Chairman and CEO of Cisco. He has helped in the growth of the company from $70 million when he joined Cisco in January 1991, to $1.2 billion when he assumed the role of CEO, to record revenues of $48.6 billion in FY13. In 2006, Chambers was also the Chairman of the Board, in addition to his CEO role. “Best Investor Relations by a CEO” from Investor Relations Magazine three times. And is one of the top 10 places to work in the United States, China, Germany, France, India, UK, Australia, Singapore, and several other countries. including receiving the U.S. State Department’s top corporate social responsibility award (ACE) twice, from both Secretary of State Hillary Clinton in 2010 and former Secretary of State Condoleezza Rice in 2005.
and the prestigious Excellence in Corporate Philanthropy Award, an award given by CEOs to their CEO peers. China region impacted by the May 2008 earthquake. Mr. Chambers also cosponsored the Jordan Education Initiative, which Cisco has worked on in partnership with His Majesty King Abdullah II of Jordan and the World Economic Forum. In late 2006, Chambers co-led a delegation of U.S. business leaders, in partnership with the U.S. State Department, to form the Partnership for Lebanon, helping provide critically needed resources for ongoing reconstruction in Lebanon. Chambers has also spearheaded several other education initiatives, including the 21st Century Schools Initiative, to improve education and opportunity for children in the Gulf Coast Region affected by Hurricane Katrina. He has served two American presidents, most recently as Vice Chairman of the President George W. Bush National Infrastructure Advisory Council (NIAC), where he provided industry experience and leadership to help protect the United States’ critical infrastructure. He also served on President George W. Bush’s Transition Team and Education Committee, and on President Bill Clinton’s Trade Policy Committee. Chambers joined Cisco in 1991 as Senior Vice President, Worldwide Sales, and Operations. He assumed the role of President and CEO in 1995.
six years with IBM (1976-1982). Further, he holds a Bachelor of Science / Bachelor of Arts degree in business and a law degree from West Virginia University and a master of business administration degree in finance and management from Indiana University. Frank Calderoni is the Executive Vice President and Chief Financial Officer (CFO) at Cisco. Mr. Calderoni is managing the financial strategy and operations of a company with more than 72,000 employees. During his management with CISCO, the total revenue was $46 billion for the fiscal year 2012. Mr. Calderoni was committed to maximizing long-term shareholder value, ensuring a balanced portfolio of growth initiatives, and maintaining the high level of integrity and transparency for which Cisco is known. Previously as Cisco’s Senior Vice President, Customer Solutions Finance, he manages to be effective and efficient in bringing a profitable growth, disciplined decision making, and transparency in Cisco’s reporting. He led the efforts to create and define the value chain for the sales and services model from which organization, staffing, compensation plans, targets, territory definition, and sales goals could be derived. He was responsible for the decision support model on investments related to sales, services, and marketing, including acquisitions. In 2004, Calderoni joined Cisco from QLogic Corporation, where he was the Senior Vice President and CFO. Prior to that, he was the Senior Vice President, Finance and Administration and CFO for SanDisk Corporation. He spent 21 years at IBM Corporation and was promoted to Vice President prior to taking on two CFO roles. At IBM he held Controller responsibilities for several divisions, including Global Small Business, Storage Systems, and the IBM Server Group. Calderoni is an active volunteer, and he sits on the board of the Children’s Discovery Museum of San Jose. He has been recognized as the 2013 Bay Area CFO of the Year. And was considered one of the Best CFO’s in 2012 from the Institutional Investor. Calderoni holds a bachelor’s degree in accounting and finance from Fordham University and a master of business administration degree in finance from Pace University. He sits on the Board of Directors for Adobe Systems and Nimble Storage. The incredible profiles of these two brilliant men of Cisco, who would ever say that they are not competent? 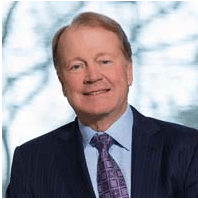 John T. Chambers, Chairman, and CEO has been awarded several times for his 18 years philanthropic leadership and contributed to the growth of Cisco. 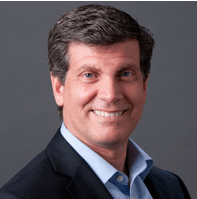 Frank Calderoni, Executive Vice President and CFO of Cisco has been successful in managing the financial strategy and operations of the company, hence bringing profitable growth to Cisco. Solvency and liquidity are a measure which refers to the company’s state of financial health, but with some substantial differences. This measure is both important measures, and healthy companies are both solvents and have adequate liquidity. Solvency refers to a company’s capacity to meet its long-term financial obligations. On the other hand, liquidity means that the company has the ability to pay short-term financial obligations. It also refers to the company’s capability to sell assets quickly to produce cash. Likewise, a solvent company is one that owns more than it owes; in other words, it has a positive net worth and an average debt that can be paid when the due date comes. Looking at the table above, the current ratio was averaging 3.09. The rule of thumb is 2.0 and the result obviously tells us that CSCO is in a good situation financially. In other words, it has $3.09 of current assets for every dollar of current liabilities. It indicates that the company has the ability to meet short-term obligations, in other words, the company has enough resources to pay its debts over 12 months. Further, the quick ratio or sometimes called the acid test ratio was averaging 2.78. The rule of thumb is 1.0. This again indicates that CSCO is in a good position when it comes to liquidity. In other words, the company has the ability to pay its short-term debt using cash and near cash assets. Going forward, let us examine what the solvency ratios tell us. The table shows that the solvency ratio was averaging 0.82 or 82 percent. The rule of thumb is 20 percent. This indicates that Cisco Systems Inc has the ability to meet its long-term obligations. Solvency ratio is calculated by net earnings after tax plus depreciation and amortization over its total debt. Therefore, it indicates that Cisco Systems Inc is financially healthy. Moreover, the leverage ratio was averaging 0.29 or 29 percent. This again indicates that the company is really in good standing. This ratio measures how much debt is being used against the shareholders’ equity. Overall, it indicates that Cisco Systems Inc is financially healthy. Gross profit margin measures how much of every dollar of revenues is left over after paying the cost of goods sold. While net profit margin is the percentage of revenue remaining, after all, operating expenses, interest, taxes and preferred stock dividends (but not common stock dividends) have been deducted from a company’s total revenue. The Cash Flow Margin is a measure of how efficiently a company converts its sales dollars into cash. Since expenses and purchases of assets are paid by cash, this is an extremely useful and important profitability ratio. It is also a margin ratio. The above table shows that the cash flow margin was averaging 0.27 or 27 percent. Therefore, it indicates that CSCO is efficient in converting its revenue into cash. While the Free Cash Flow was averaging $10.13 billion. CSCO is able to generate sufficient revenue from its operation. Moreover, the company has available cash that can be used in paying dividends and for future investments. Finally, it indicates that CSCO is financially healthy. The Totem Investment model in the valuation of equity adopts the investment style of Benjamin Graham, the Father of value investing. The essence of Graham Value Investing is that any investment should be worth much more than an investor has to pay for it. Graham believed in the complete analysis, which we call fundamental analysis. Even more, he was looking for companies with a sound balance sheet or those with little debt, above average profit margin and acceptable cash flow. His philosophy was to buy wisely when prices fall and to sell wisely when the price increase a great deal. It shows that the margin of safety was averaging 75.83 percent. This formula is used to identify the difference between company value and price. In other terms, it is the difference between the real value of the stock and the market price. Consequently, the result indicates that it passed the requirement of Graham of at least 40 percent margin of safety. Therefore, the stock is a good candidate for a Buy. The relative valuation methods in valuing stock of a company are to compare market values of the stock with the fundamentals like the earnings, book value, growth multiples, cash flow, and other metrics. The current book value per share was $10.98 and averaging $8.25 per share. The price to earnings ratio in the trailing twelve months (ttm) was $12.2 per share and averaging $15.35 per share. The return on equity at trailing twelve months was $18.08 and was averaging $18.1 per share. Overview, it indicates that Cisco Systems Inc has a good measure of profitability, it also indicates that the company was able to generate a favorable and stable return on the invested capital. The discounted free cash flow analysis uses the free cash flow projections and discounts them to arrive at the present value. In this analysis, I used five years of historical financial data to arrive at the present value and future value. Capitalization rate that was used was 15 percent. Return on investment was averaging 18.10 percent. Price to Earnings used was the 15.85 ratio. The present value of CSCO was $28.62 per share a total value of $154.6 billion. Further, the future value was $56.56 per share a total value of $311 billion. Furthermore, net income at year 5 was $4.36 per share at a total value of $23.56 billion. Totem also adopts the Warren Buffet method using the financial calculator in the company’s equity selection. The table below is the summary of the calculations. The equity growth was 13.5 percent while the dividend yield was 7.79 percent. The calculated value of appreciation was $11.45 per share, this is equivalent to Warren Buffett’s margin of safety or 40 percent of the calculated present value. And also the computed total value was $46.77. per share. The price that the investor is willing to pay was $64.97. Furthermore, the market price of Cisco Systems Inc to date, October 23, 2013, was $22.65 per share. If we compare this to the total value of $46.77 per share, it indicates that the stock is trading at an undervalued price, therefore, a good candidate for a Buy. Above all, the liquidity and solvency ratios, as well as the profitability ratios, tell us that CSCO is in good standing and financially sound. Moreover, the cash flow margins and the free cash flows indicate that the company has the ability to generate sufficient revenue. And also has available funds left for future investments and for payment of dividends. Furthermore, the investment valuation shows that the margin of safety of 76 percent using the Benjamin Graham method has passed the requirement of at least 40 percent. In addition, the company has 20 percent able to sustain its operation internally without issuing additional debt and equity. Noteworthy, CSCO has positive earnings rising all throughout the period of 10 years. Overall, the company is financially healthy. The discounted cash flow method indicates that the present value was $28.62 which is 62 percent above the book value to date. On the other hand, the computed total value was higher than the market price, therefore, it tells us that the stock of CSCO is trading at an undervalued price hence, a good candidate for a Buy. I, therefore, recommend a BUY on the stock of Cisco Systems Inc.